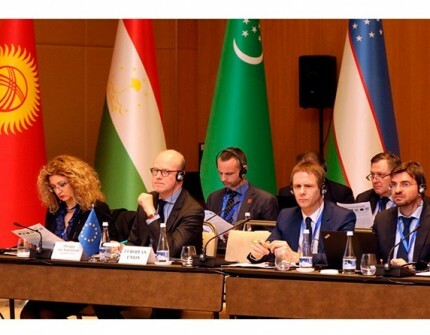 On January 24-25, 2019, the 6th EU-Central Asia High Level Conference on Environment and Water Cooperation at the level of deputy ministers was held in Tashkent. The conference was attended by deputy ministers, diplomats and specialists responsible for environmental policy, climate change and water resources of the countries of Central Asia and the European Union. The Turkmen delegation at the Forum was headed by the Deputy Minister of Agriculture and Water Resources. The conference participants discussed the progress made by the countries of Central Asia since 2015 in the field of environmental protection, climate change and water management, in accordance with the conclusions reached at the Fifth Milan Conference and recommendations developed by the EU-Central Asia Working Group on environment, climate change and water resources. An exchange of views took place and priorities for the future cooperation between the EU and Central Asia were identified on a wide range of issues related to the environment, climate change and water resources. The conference was organized within the framework of the EU-Central Asia Platform for Cooperation on Environment and Water, which covers the following priority areas: environmental management, closed-loop economics, sustainable production and consumption, climate change and water management.